Get Those Run for the Arts Pledges and Lap Counter Needed! Our annual Run for the Arts fundraiser for art programming is quickly approaching on Wednesday, October 7th. Pledge forms are due by the end of the school day on Tuesday, 10/6. 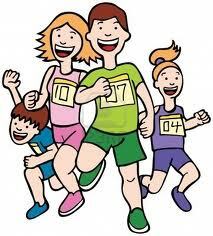 We need volunteer lap counters and safety patrols at Caruthers Park on October 7th. You can be in and out of there in less than an hour! It’s also a lot of fun to cheer the kids on as they run their laps. Here is the class run schedule and the link to sign-up to volunteer. Parents of Raina, Nesa and Lisa’s students: there are 67 students running in this group!! Please volunteer and help make sure laps are counted and kids are safe! You will be able to leave after 9:15. This entry was posted in Events, Fundraising, Volunteer and tagged lap counters, run for the arts, run schedule. Bookmark the permalink.